The term “ADA Signs” has come into common use in the architectural, construction and signage industries through the implementation of the Americans With Disabilities Act, or ADA. The term is sometimes misunderstood, as some people think it is synonymous with braille signs. Signs with braille and raised characters are the most visible part of the law requiring access to buildings, but the sign standards in the ADA Accessibility Guidelines require much more than just braille and raised characters on some signs. Almost every sign that would be considered an “architectural” sign must comply with one or another of the ADA Guidelines. 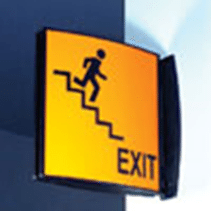 If a sign identifies a permanent room or space of a facility, including exits, directs or informs about functional spaces of the facility, or identifies, directs to, or informs about accessible features of the facility, it must comply. Signs for advertising and marketing purposes, temporary signs, company logos and names are examples of signs or sections of signs that do not have to comply. 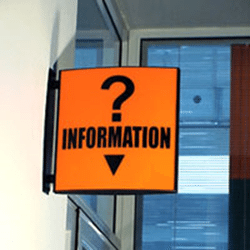 The sign criteria generally requires that the ADA signs be two colors — A background color and a contrasting color for the tactile and image. You may often see these as typical restroom signage. The lettering and tactile must meet the ADA criteria for height and thickness. The rules requiring Braille on some signs is often looked upon as benefiting people who are blind and visually impaired; however they also benefit people with mobility impairments or hearing impairments. In addition, one can say generally that easy to read and well thought out signage systems are of definite benefit to people who are deaf, have problems speaking, have cognitive disabilities or other conditions that cause them to avoid speaking to strangers. In the last few years, ADA signage has become less “institutional” looking and you will notice more architecturally pleasing signage in newer office buildings. The signs may be color coded to help you find your way through a facility. The ADA signage will also direct you to information, exits and other areas to help people find their way through airports, hospitals and other public buildings. 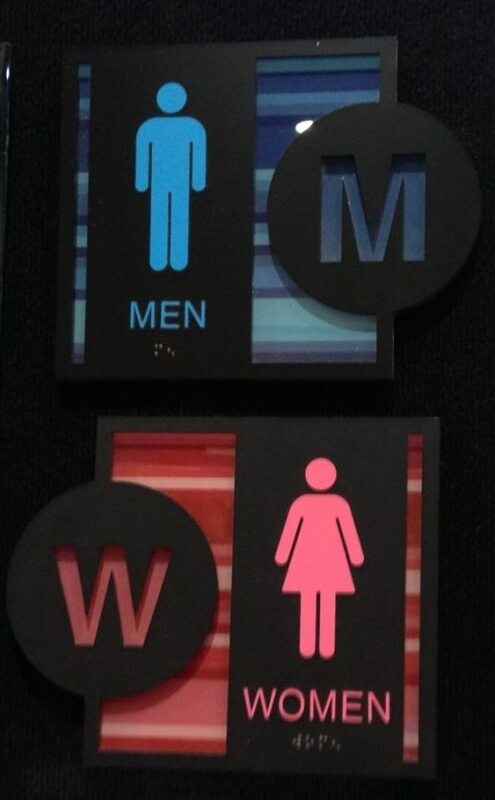 Need Help with Your ADA Signs?